DETERMINE IF YOUR MOVE IS “SHORT INTERSTATE” OR “LONG DISTANCE”. Many interstate moves actually do not have to be considered “long distance” moves. Take, for example, the idea of someone moving from New York to New Jersey - this job could be easily accomplished in less time than it would take for someone to move from certain parts of upstate New York. For these “short interstate” moves, not much will differ from a local move on moving day, other than perhaps a few tolls to be paid. Make sure you understand the terms of your agreement with the moving company. Most long distance moves have what’s called a “delivery window”, which details the possible arrival dates for the shipment of their inventory. The size of the window depends on your destination and varies from one moving company to another, but could influence many of the decisions you make in the days during your move, including how many days you book a hotel (or stay at a friend or family member’s home). Moving companies will have an “inventory list” of the items you’re having them move, and you will be asked to sign for it at the day of the move and at the time of delivery. Make sure all your items are listed and check the list item by item, upon arrival and departure. Even if you’re moving yourself, things can get misplaced along the way; a list can be helpful in keeping on top of everything. Make sure your mover is licensed, insured and reputable. Any mover taking you across state lines needs to be reliable. Scams during interstate moves are unfortunately very common. Check to make sure your mover has the necessary insurance, licensing, and has testimonials from past customers that can show their reliability. People who move long distance are often vastly unprepared for the interim period between their move out date and their shipment’s arrival at their new home. Prepare for as many days as the late end of your delivery window entails at least, if not for longer considering all the external events that could delay your delivery. Longer moves are often done with larger trucks known as “tractor trailers”. These larger, longer trucks often have difficulty accessing roads off of major highways and freeways. Check the streets leading to your old and new homes to see if a tractor trailer will be able to pick up from or deliver to your new home. In the case a tractor trailer cannot access either side, the movers will need to provide “shuttle service”, where the goods are transported in a smaller vehicle, at the cost of the customer. Preparing for these possible additional costs can help you budget for you move more comprehensively and effectively.Some of Oz’s interstate moving destinations like L.A. and NYC do provide free shuttle service, so in some cases you may not have to worry about this; ask your movers! For Long Distance moves as well as longer moves in general, you want to make sure the items are as well-protected as they could be. Cheap boxes will not protect your items in the same way a quality box will. Most moving companies like Oz sell high quality boxes and it might be worth looking into purchasing the boxes directly from them. For those looking to hire a mover for their interstate move, remember that cheaper isn’t necessarily better. First of all, a cheaper quote may not necessarily mean a cheaper move. You’ll want to ask questions in advance to understand potential accessorial charges like aforementioned tolls and shuttle service that could up the price of your move. You should also assess various delivery time windows between the companies, determine what timing and what pricing seems realistic and most appropriate for your move. Moving out of state means changing utilities. 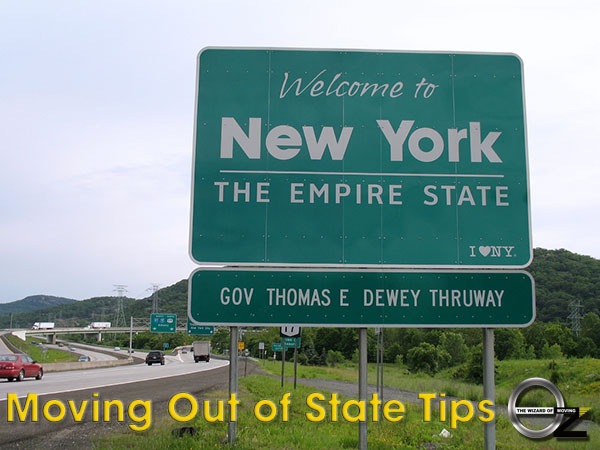 As we learned in our NY, NJ and CT guide, states usually have varying standards to setting up their utilities. Plan ahead to have services like electricity, gas, water, internet, cable, and phone services installed in time for you to enjoy the first few days in your new home fully. 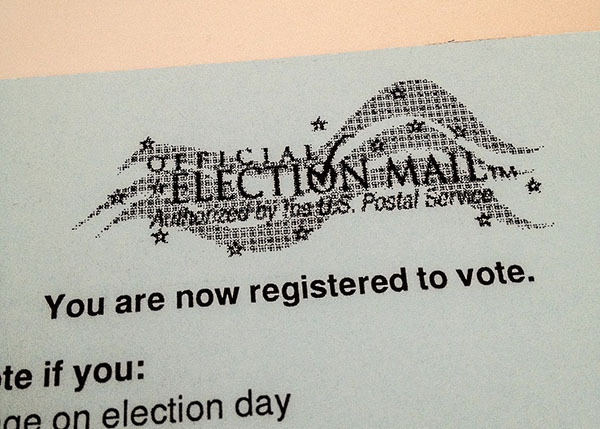 Changing state residencies means changing your voter registration. The most important part about you, as a voter, is your state of residence. Take pride in your new statehood! To change your voter registration information, simply file voter registration at your new address. You can do so using theNational Mail Voter Registration form. There is no ascribed need to un-register in your existing state. After changing states, it’s common practice to change your driver’s license to one from your new state within 30 days. A driver’s license is a great way to show your residency in your new state, which can be valuable in many processes like applying for jobs. In most cases, you won’t need to re-take any test; you’ll merely need to show up, fill out paperwork and take a new picture. In some cases you may need to do even less. Read more at the unofficial guide to the DMV, DMV.org.